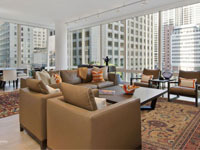 View four diverse client Whole Home Collections that showcase how antique art rugs can be incorporated into homes of any size & architectural style, from a sleek downtown high-rise condo to a stately traditional estate. 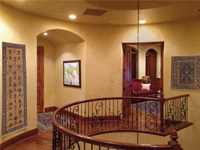 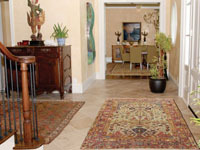 VIEW 112 MORE OF OUR CLIENTS’ ROOMS FURNISHED WITH ART-LEVEL RUGS. 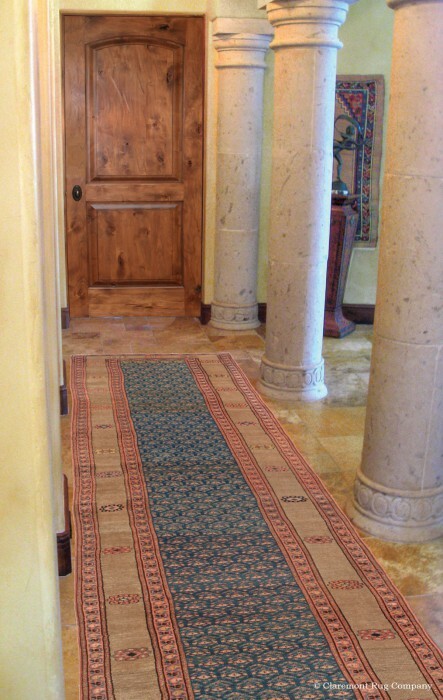 A rare Persian Bakshaish Camel Hair runner adds soft contrast along the grand expanse of stone flooring of this Mediterranean home.